Carolyn Richards, 29 Petersfield, Chelmsford, Essex, CM1 4EP Tel. 07768 086 123. This entry was posted in Past Events on June 24, 2015 by AESS. presents a study day and concerts exploring the women composers who have contributed to the English Song repertoire. 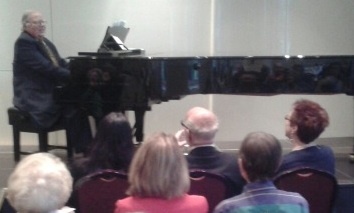 Featured composers include Betty Roe, Rebecca Clarke, Liza Lehmann, Amy Woodforde Finden, and others. 11.00 a.m. A workshop for young singers aged 13-18 on the songs of Betty Roe. 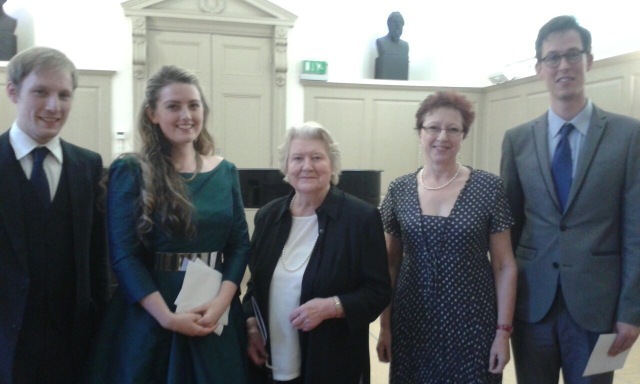 1.30 p.m. An informal concert of Betty Roe songs given by AESS members and their pupils. 3.00 p.m. A concert featuring women composers of the past including Frances Allitsen, Amy Beach, Rebecca Clarke Teresa del Riego, Rosalind Ellicott, Amy Woodforde Finden, Amy Horrocks, Liza Lehmann, Caroline Maude, Maude Valerie White. The map below shows the location of the Wroughton Theatre at King Edward’s School, North Road, Bath, BA2 6HU. 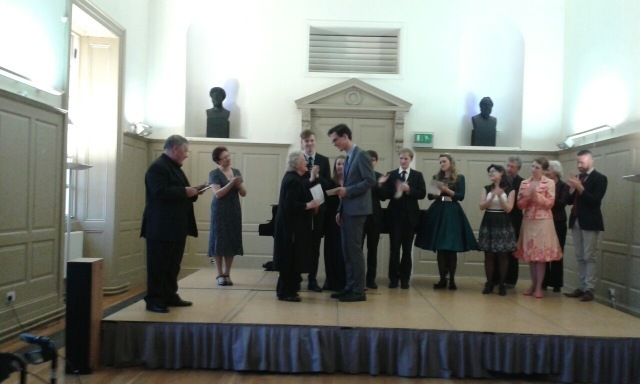 On Sunday, June 7th, the 3rd Fell Prize for Musical Theatre, took place at the Sylvia Young School. 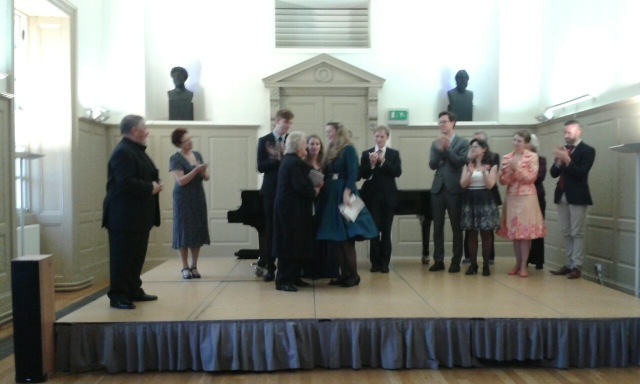 Sarah Leonard gave a short welcome to all present and introduced the adjudicators, Rosamund Shelley and Michael Dore. 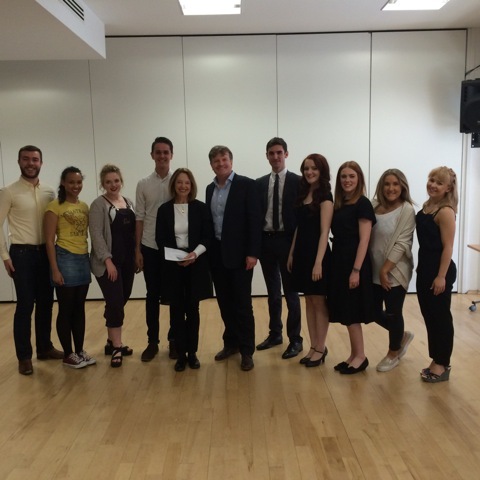 Entrants drawn from the Royal Academy of Music, the Royal College of Music, E15, Royal Welsh College of Music & Drama, Mountview Theatre School, Millennium and West End Masterclass competed for the £1000 prize. Competitors were between 18-25 years old, of any nationality and in full time training or preparing for a career in Musical Theatre. They were required to perform a song and a scene/speech as a sequence in the original English which could come from any source and be presented in any order. The programmes had to be less than six minutes in length. 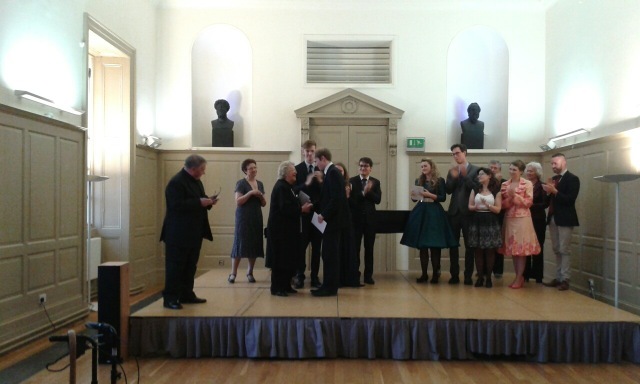 The prize was awarded to Christopher McGuigan of the Royal Academy of Music. 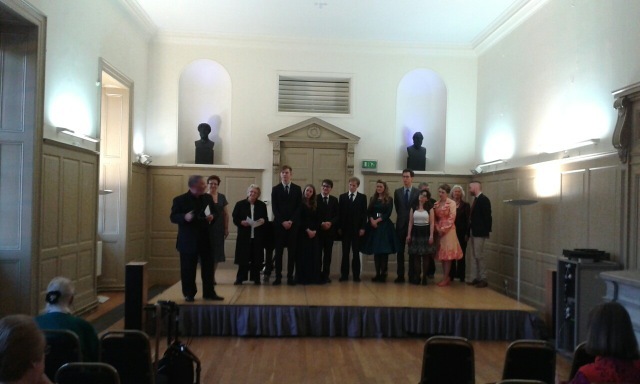 Congratulations to him and our thanks to the other singers for helping to promote the ideals of the AESS. 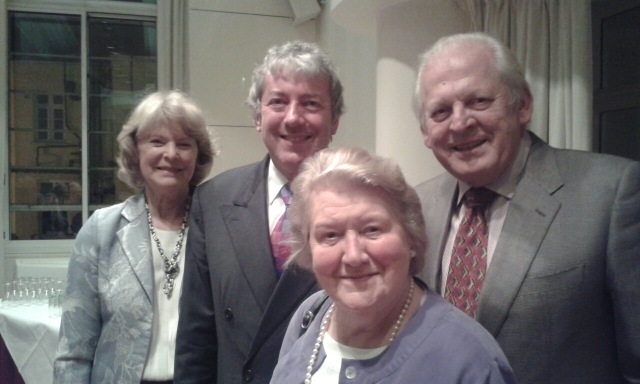 Members of the AESS added to an audience of friends and family supporting the performers as they contributed to an interesting and varied afternoon. We thank the Sylvia Young School for allowing us the use of their premises. 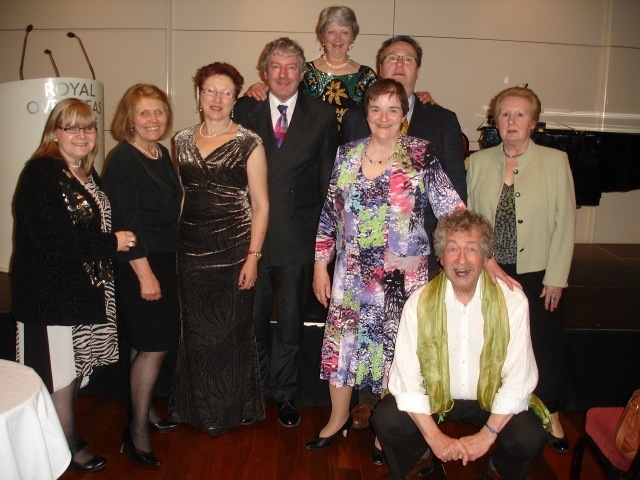 Thanks also are due to the co-ordinators, Jean Hornbuckle and Jane Roberson. 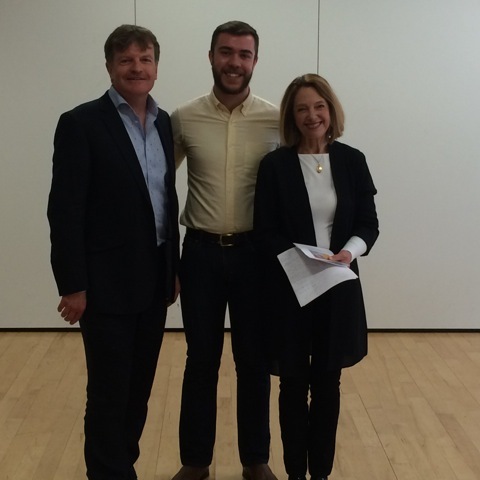 The Final took place on Wednesday, May 13th at the Trinity Laban Conservatoire for Music & Dance. 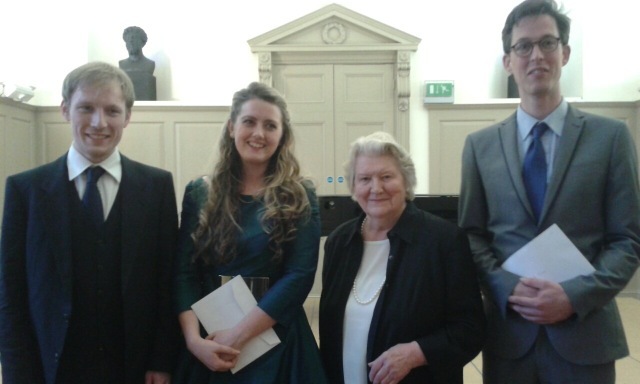 Patricia Routledge was on hand to present the awards and we thank her for her support of this important competition. 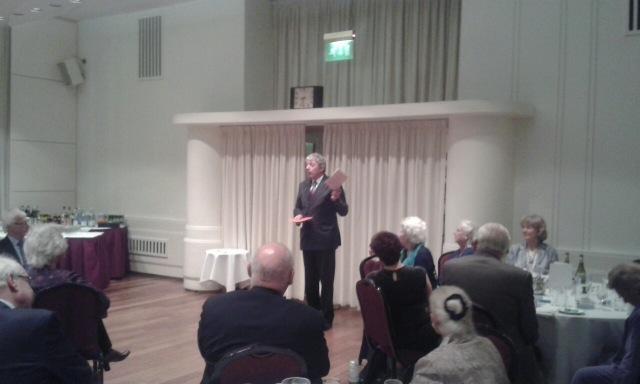 The 2015 AGM & Annual Dinner took place at the Royal Overseas League in St James’ on Sunday, April 12th. 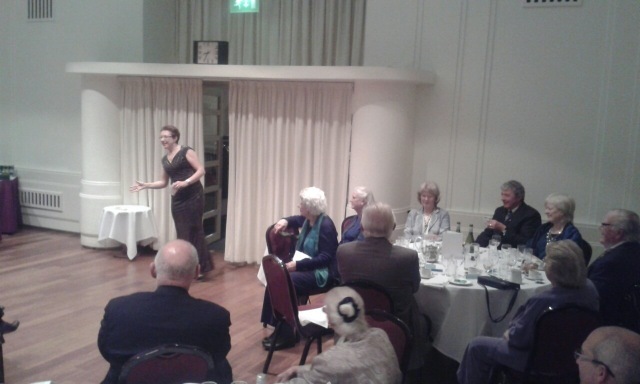 37 people attended the AGM (both members and friends) and there were more than 55 diners to listen to the highly amusing and poignant entertainment provided by Courtney Kenny. 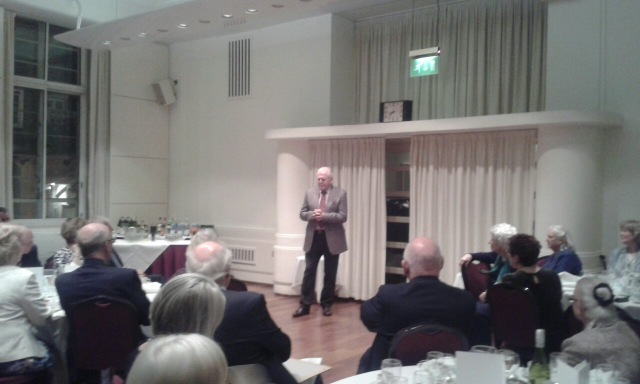 The address was given by Hon President, Sir Thomas Allen who shared his thoughts on commitment and communication in performance. The main business of the AGM was to bid farewell and to thank retiring Chairman, Graham Trew who has faithfully served the AESS for ten years in the position. The Chair-elect, Sarah Leonard, was duly instated as Chairman and we wish her well as she leads the organisation to pastures new. Carol English was also elected to become the new Secretary.